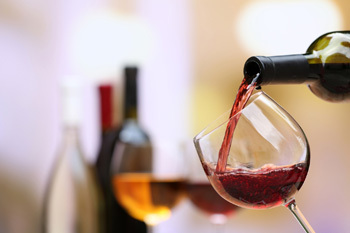 The annual Traverse City Wine & Art Festival, located at the Village at Grand Traverse Commons is held mid-June to celebrate regional wine, food and culture of northern Michigan. Get a true taste of Traverse and the surrounding region with more than 200 local wines, 8 great restaurants, 40 fine artists and 7 musical performances all in one location! Tickets include entry to the festival, all-day live musical entertainment and more, a commemorative wine glass and 4 wine tasting tickets. VIP tickets include an exclusive entrance (no lines) into the festival with a sparkling wine, a commemorative wine glass, 3 glasses from a selection of exclusive wine, 4 tasting tickets, passed hors d’oeuvres, complimentary water bottles and a one-year Leelanau Peninsula Wine Trail VIP membership. The Traverse City Wine & Art Festival presents a rare opportunity to samples wines from 32 different Michigan wineries – located all in one place. The annual Festival hosts wineries from Leelanau Peninsula, Old Mission Peninsula, Traverse City and other regions of northern Michigan featuring over 100 white, red and sparkling wines. There's even a wine education tent to host a fun and educational experience with local wines! Experience an innovative and original environment filled with fantastic art by some of the finest local artists in the region. Discover breathtaking photography, paintings, pottery, unique jewelry and much more. If you'd like to purchase art, you no longer have to keep going to and from your car with your purchased art. Check your purchases in at the complimentary Art Check to be sure to keep your art safe while you enjoy wine, food and music all day long. Be entertained all day long with back-to-back musical entertainment! Don't miss this great opportunity to hear not just one concert, but seven! Enjoy the concerts from two different stages, the Main Stage and the Art Garden Stage. You'll experience different styles of music by Guster, The Verve Pipe, Phil Denny, Xoe Wise, Briar Rabbit, Bennett, and Rachael B. The Traverse City Wine & Art Festival features gourmet fare prepared with fresh, local ingredients by regional chefs from renowned northern Michigan restaurants. Pair your wine with small plates for an ultimate culinary experience. Indulge from a wide selection of delicious dishes throughout the festival day. Ludington Art Galleries & The Arts--With Lake Michigan on its western border, Ludington has interesting art shops that beckon you inside to browse at your leisure. The new Ludington Center for the Arts offers various classes and workshops. PM River Area Arts--The PM River ranges from Scottville to Baldwin area, so there are sure to be many art galleries and art venues nearby and along the way.